Counselling provides an opportunity to establish and explore family roles and relationships in a safe and reflective environment. When feelings become overwhelming or confusing, counselling can be very helpful. We work with you to address and overcome challenges and stress. We listen, talk through options and help you think about strategies. Common issues addressed in counselling include family transitions, communication issues, work/life balance, conflict, parenting after separation, grief and loss and decision making. We provide the following counselling services. Please click on the down arrows on the right for more information. An online pre-mediation course that helps you get the most out of mediation. This course covers parental behaviours that help and hurt children after separation. 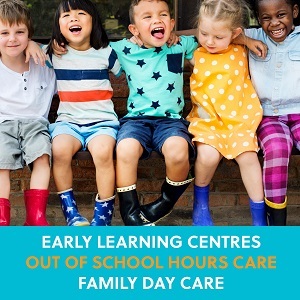 All our Family Centre’s offer this online course. Please note: Counselling fees are based on a sliding scale. CatholicCare will not refuse service in cases of financial hardship. We provide a range of children and youth counselling options from art, play and sand therapies to group work to deal with trauma, grief and loss, family breakdown and domestic and family violence. We provide free, independent and confidential financial counselling to anyone having difficulties managing money. The financial counselling service is funded by the NSW Office of Fair Trading and the Commonwealth Department of Social Services. Financial counselling is offered via our Naremburn, Ryde & Northern Beaches Centres. Download brochure here. 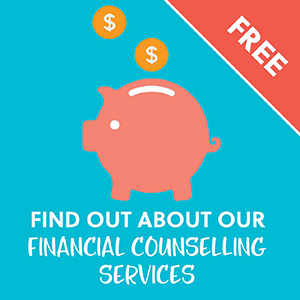 Please note: Our financial counselling service is free to clients. Our professionally trained team offer a space that gives clients the ability to talk freely. Our counsellors work from a therapeutic framework offering understanding, acknowledgement and clarity. Counselling for individuals that are attending family dispute resolution and need some assistance in dealing with separation and preparing themselves for mediation. We offer free counselling for women of all ages and their significant others. We cover issues such as unplanned pregnancy, loss due to miscarriage, termination, neo-natal death, support during and after pregnancy, adoption, pregnancy testing and contraception. We link women to specialised health and community services. A free week 6 week course held in conjunction with midwife educators. We explore pregnancy care, labour/active birth/pain relief and caring for yourself, baby and family. We also tour a birthing unit. Free fortnightly groups for parents 21 years and under with children under 2 years. Groups are held in Gosford and Wyong. Come and reconnect with friends and their babies from your ante-natal groups and meet new mums. CatholicCare provides a range of support groups including playgroups, parental wellbeing groups, positive parenting groups and more. For more information visit our Parenting Programs page here.